Facts and Procedure: Landvatter (Applicant) submitted an application to the Planning and Zoning Commission (PZC) of Franklin County to rezone land on which it intended to build a concrete plant. The Applicant sought to rezone the existing “Community Development” district into a “Commercial Activity 3 Community Business” district, which would allow the construction of the concrete plant. The PZC announced that it would hear at its regular monthly meeting Applicants request for rezoning and as required by law published notice in the local newspaper and postcard notices to individuals residing within 600 feet of the property (this included Mason and Concerned Citizens collectively referred to as (Concerned Citizens). The newspaper notice and the postcard notices included the phrase “no public comments accepted” with respect to the application. Prior to the meeting, the PZC provided notice to representatives of the local fire department, the highway Department, and other interested agencies stating that if they wanted to submit comments or if they had questions concerning whether or not the property should be rezoned they should submit their comments or questions prior to the meeting, which comments would be distributed to the PZC at or before the meeting. Concerned Citizen submitted to the PZC a petition with 24 signatures and several letters opposing the rezoning and the construction of the concrete plant. The clerk informed Concerned Citizens that their materials would not be distributed to the PZC at or before the meeting. At the meeting of the PZC, Concerned Citizens again requested an opportunity to be heard, and the request was refused. The Applicant and proponents were permitted to speak extensively before the PZA in favor of the rezoning, after which the PZA proceeded to vote 9 to 1 to recommend to the County Commissioner’s (County) that the rezoning be approved. At a hearing before the County on the rezoning, the County allowed the opposition petition to be filed with the County and it heard comments from Concerned Citizens in opposition to the rezoning. Thereafter, the County voted to approve the rezoning. Concerned Citizens then filled a lawsuit in Franklin County circuit court challenging the action to rezone the property. The trial court stated that it would not “usurp the authority of the Commission” and made no findings of fact or conclusions of law, ruling for the County. Mason and Concern Citizens then filed an appeal to the Eastern District. Comment Howard: This rather simple case was complicated due to the resistance of local officials to recognize the fundamental principles of fairness and due process required by law. It is pretty obvious that the elected and appointed officials wanted to rezone property and their unwillingness to let opposition voices be heard only made matters worse (delayed the process and rightfully angered citizens destroying trust in government) by avoiding what they are required to do by law. Just give the public a chance to speak and then vote. I wonder if the arrogance of the Franklin County officials will be a factor in the next election? 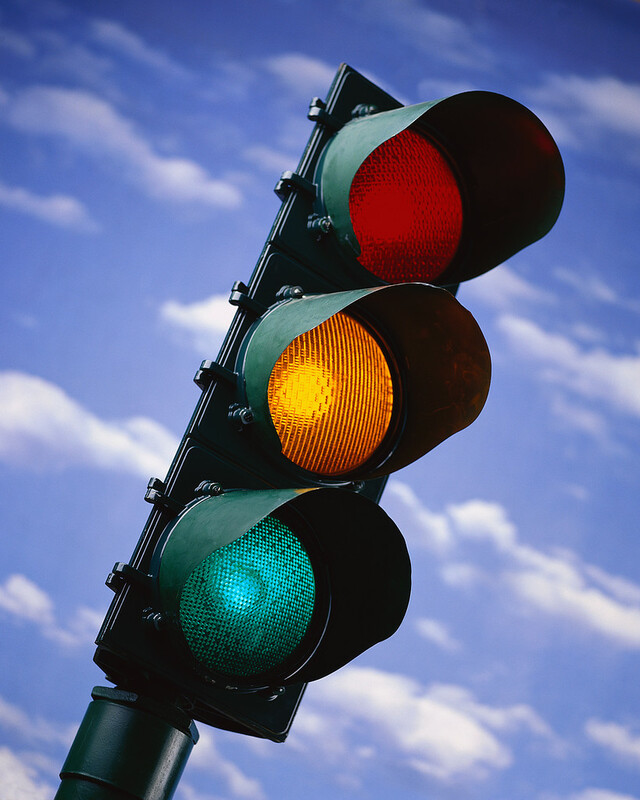 Facts and Procedures: Cecelia Webb and five other motorists filed a class action against the City of Maplewood, (City) under 42 U.S.C. § 1983, claiming its policy or custom violated their constitutional rights. Specifically Plaintiffs asserted that the City automatically issued an arrest warrant whenever someone is ticketed for violating its traffic and vehicle laws when they fail to pay a fine or appear in court. Once arrested, the motorist must either pay a bond, the amount of which was set in advance, without any determination of his or her ability to pay it, or sit in jail possibly for days. The plaintiffs further contended that once a warrant has been issued, a motorist cannot avoid it by voluntarily returning to the municipal court or paying the outstanding fine, but must either submit to a custodial arrest or retain a lawyer to argue a motion before the municipal judge to vacate the warrant. If the court did not grant the motion, the motorist, whose presence in court the judge allegedly demanded would be arrested and jailed. Plaintiff’s asserted that this is the means by which the City coerced the motorist into paying the bond to secure his or her release. The plaintiffs maintained that since their poverty makes it difficult if not impossible to pay the bond, the City thereby violates, their due process and equal-protection rights. The City filed a motion to dismiss the complaint on the grounds that the City was immune from suit (for the actions of the municipal court) and that the complaint failed to state a claim against the City. The district court dismissed a single count from the complaint on the consent of both parties but otherwise denied the motion, ruling that the City is not immune from suit and that the complaint sufficiently stated a claim of municipal liability. The City appealed the order denying it immunity to the 8th Circuit. Opinion: The City argued that it enjoys 11th Amendment immunity (cannot sue states) because the “real party in interest,” the municipal court, is “an arm of the state entitled to sovereign community.” The City also argued that the responsible officials for any such policy are entitled to absolute immunity from liability under the Civil Rights Act. The Eighth Circuit reasoned that United States Supreme Court has consistently refused to construe the 11th Amendment to protect political subdivisions such as counties and municipalities even though they may exercise “a slice of state power.” Therefore, the 8th Circuit rejected the arguments made by the City knowing that if the municipal court is responsible for the practices the City may have a defense on the merits, but not immunity from suit. Comment Howard: This is an interesting/important case, which has the potential to wreck havoc with the lines between the municipal court system and the local government entity. Considering the way the Municipal Court system has been established, as part of a unified court system, separate and apart from cities or counties it seems clear (at least in my mind) that the issue should eventually be resolved in favor of the City, unless there is something unusual tying the practice of the court to the City. Seems like there needs to be an allegation that connects the City to implementation of the custom or policy. It seems that the courts are reacting to alleged injustices where citizens have little or no recourse against the power of government. As a result of these allegations the court is filling that gap by providing a place for potential recourse. 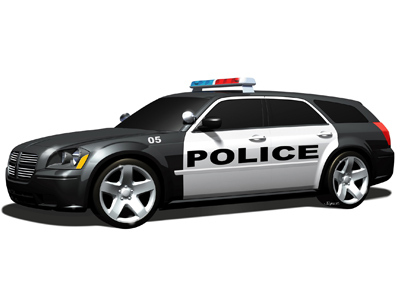 Facts and Procedure: Officer Matthew McCall of the Albemarle County Police Department in Virginia saw the driver of an orange and black motorcycle with an extended frame commit a traffic infraction. The driver eluded Officer McCall’s attempt to stop the motorcycle. A few weeks later, Officer David Rhodes of the same department saw an orange and black motorcycle traveling well over the speed limit, but the driver also got away from him. The officers compared notes and concluded that the two incidents involved the same motorcyclist. Upon further investigation, the officers learned that the motorcycle likely was stolen and in the possession of petitioner Ryan Collins. After discovering photographs on Collins’ Facebook profile that featured an orange and black motorcycle parked at the top of the driveway of a house Officer Rhodes tracked down the address of the house, drove there, and parked on the street. It was later established that Collins’ girlfriend lived in the house and that Collins stayed there a few nights per week. From his parked position on the street, Officer Rhodes saw what appeared to be a motorcycle with an extended frame covered with a white tarp, parked at the same angle and in the same location on the driveway as in the Facebook photograph. Officer Rhodes, who did not have a warrant, exited his car and walked toward the house. He stopped to take a photograph of the covered motorcycle from the sidewalk, and then walked onto the residential property and up to the top of the driveway to where the motorcycle was parked. In order “to investigate further,” Officer Rhodes pulled off the tarp, revealing a motorcycle that looked like the one from the speeding incident. He then ran a search of the license plate and vehicle identification numbers, which confirmed that the motorcycle was stolen. After gathering this information, Officer Rhodes took a photograph of the uncovered motorcycle, put the tarp back on, left the property, and returned to his car to wait for Collins. Shortly thereafter, Collins returned home. Officer Rhodes walked up to the front door of the house and knocked. Collins answered, agreed to speak with Officer Rhodes, and admitted that the motorcycle was his and that he had bought it without title. Officer Rhodes then arrested Collins who was indicted by a Virginia grand jury for receiving stolen property. Collins filed a pretrial motion to suppress the evidence that Officer Rhodes had obtained as a result of the warrantless search of the motorcycle. Collins argued that Officer Rhodes had trespassed on the curtilage of the house to conduct an investigation in violation of the Fourth Amendment. The trial court denied the motion and Collins was convicted. Collins unsuccessfully appealed the decision through the Virginia courts and then to the United Stated Supreme Court, which granted cert on the question of whether or not whether the automobile exception to the Fourth Amendment permits a police officer, uninvited and without a warrant, to enter the curtilage of a home in order to search a vehicle parked therein. Was the driveway, where he motorcycle located, part of the curtilage? Facts :The driveway runs alongside the front lawn and up a few yards past the front perimeter of the house. The top portion of the driveway that sits behind the front perimeter of the house is enclosed on two sides by a brick wall about the height of a car and on a third side by the house. A side door provides direct access between this partially enclosed section of the driveway and the house. A visitor endeavoring to reach the front door of the house would have to walk partway up the driveway, but would turn off before entering the enclosure and instead proceed up a set of steps leading to the front porch. When Officer Rhodes searched the motorcycle, it was parked inside the partially enclosed top portion of the driveway that abuts the house. Curtilage – The Court described the curtilage to include areas like the front porch, side garden, or area “outside the front window,” or “an area adjacent to the home and ‘to which the activity of home life extends.” Therefore, it follows that the driveway enclosure where Officer Rhodes searched was part of the curtilage. Comment Howard: Based on this case, it is time to review the police departments SOP and update or revise if necessary. Facts and Procedure: Plaintiff’s petition alleged that Lazarus Britton (“Decedent”) was standing at or near a bus stop at the intersection of Natural Bridge Road and Goodfellow Boulevard in the City of St. Louis (“the bus stop”) when a vehicle driven by Emanuel Smith (“Smith”) was traveling south on Goodfellow in excess of the speed limit. Smith ran a red light, driving into the intersection and lost control of the vehicle. The vehicle flipped, left the road and killed Decedent. Plaintiff, Decedent’s wife, filed suit against the City and Smith for wrongful death. The City filed a motion to dismiss for failure to state a claim arguing that Plaintiff did not state a claim for a dangerous condition of the City’s property because Plaintiff did not allege a dangerous condition of the City’s property because Decedent’s death was caused by the speeding and running of a red light by Smith. 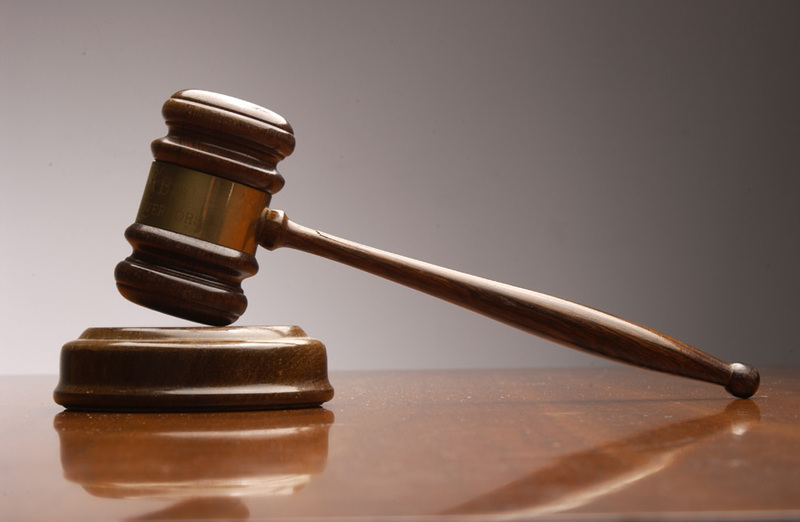 The court granted the City’s motion to dismiss and Plaintiff appealed to the Eastern District. Issue – Plaintiff argued that the trial court erred by concluding that the direct cause of Decedent’s death was “solely” Smith’s negligence and dismissed the cause for failure to state a claim. Analysis – At issue was causation. The test for proximate cause is generally whether the negligence of the defendant is the conduct of which the injury was the natural and probable consequence. In this case, the trial court found the allegations were “merely conclusory.” However, Plaintiff alleged the bus stop, in close proximity to oncoming traffic, was a dangerous condition due to the lack of designated area to sit or stand, as well as the lack of any shelter, and lack of warning to pedestrians about the danger of passing vehicles; therefor, the Eastern District concluded that the allegations in the petition were sufficient to show that Decedent’s death was the direct and proximate result of a dangerous condition of the City’s property. Comment Howard: It is hard to imagine that in an urban environment a City could be liable for a speeding car that runs a stop light and flips thereby killing a person waiting at a bus stop. I know it is early in the case still you have to wonder. 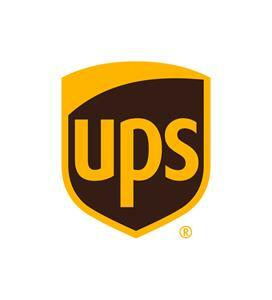 Faidley, after approaching UPS to find another possible position that he could perform with his restrictions “attended an ‘accommodation checklist meeting’ with UPS Occupational Health Supervisors. Faidley, then identified certain possible positions (car washer, porter, and preload air-driver inside or hub jobs) that he could perform with his restrictions and was encouraged to bid on these jobs but nothing came to avail of this because either no vacancies occurred or Faidley lacked sufficient seniority to be able to bid on the jobs. Later, his medical restrictions prevented him from filling even these positions. A position as “feeder driver” was also identified that required more than eight-hour days, but was less physically strenuous. Blood the UPS District HR manager wrote on his accommodation worksheet that Faidley “preliminarily appear[ed] capable of performing the essential job functions” of a feeder driver, and there was evidence that feeder driver positions would become open in the near future. This position was not offered, though, supposedly because there were no current vacancies. Comment Howard: If you are looking for a case dealing with ADA disability and reasonable accommodation this is a great case to get a sense of ADA issues. The case was vigorously litigated and the en banc opinion is extremely well written providing useful insights into the give-and-take of the interactive accommodation process. Comment by Howard: Title IX is extremely broad and covers and applies, with a few specific exceptions, to all aspects of federally funded education programs or activities. In addition to traditional educational institutions such as colleges, universities, and elementary and secondary schools, Title IX also applies to any education or training program operated by a recipient of federal financial assistance. Facts and Procedures: The city of Lee’s Summit (City) is split between two counties, Cass County and Jackson County. Both Lee’s Summit and Cass County impose a sales tax on utility service for domestic use, as allowed by § 144.032. Jackson County does not impose such a tax. 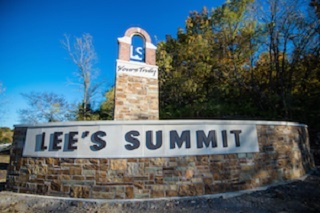 Consequently, sales tax revenue from utility service collected from Lee’s Summit residents in Cass County is distributed by the department of revenue to Lee’s Summit and Cass County, while sales tax revenue from utility service collected from Lee’s Summit residents in Jackson County is payable only to Lee’s Summit. Kansas City Power & Light (“KCP&L”) sold electricity and gas services to Lee’s Summit residents located in both Cass and Jackson counties. These residents paid sales taxes to KCP&L and, in turn, KCP&L remitted the taxes along with monthly tax returns to the department of revenue. KCP&L’s tax returns from December 2008 through November 2011 mistakenly coded all sales taxes received from Lee’s Summit residents as Lee’s Summit/Cass County and failed to code any sales taxes received as Lee’s Summit/Jackson County. As a result, revenue from sales taxes received for utility services from Lee’s Summit residents in Jackson County during that period was mistakenly distributed to Lee’s Summit and Cass County rather than paid only to Lee’s Summit. The director of revenue discovered this mistake and notified Cass County that, because of KCP&L’s erroneous tax returns, Cass County had been paid approximately $966,692 in tax revenue that should have been paid to Lee’s Summit. The director further informed Cass County this erroneous distribution of tax revenue would be corrected over a three-year period via monthly amended tax returns filed by KCP&L. Based on these amended tax returns, the director would withhold a certain amount of monthly sales tax revenue from KCP&L utility service normally owed to Cass County and distribute this revenue to Lee’s Summit. This would occur each month until the total amount of tax revenue erroneously distributed to Cass County was redistributed to Lee’s Summit. Cass County responded by first seeking a writ prohibiting the director from withholding the tax revenue and redistributing it to Lee’s Summit, which was the wrong remedy since it should have filed as an appeal to the administrative hearing commission. Cass County loses and the case winds its way to the Missouri Supreme Court. Opinion: Cass County argued that Lee’s Summit should have followed the statutory provisions for a refund; therefore the state did not have authority to deduct overpayments to Cass County from its monthly payments. The Missouri Supreme Court held that the refund statute does not apply because the refunds are to be made “to the person legally obligated to remit the tax.” The issue is not with the amount of taxes computed and collected from KCP&, which would be the subject of a refund, but rather the amount of revenue distributed by the state from such taxes to Lee’s Summit and Cass County. Cass County v. City of Lee’s Summit, (SC 96731, 05/22/18). Facts and Procedure: HH-Indianapolis, LLC the parent company of HH, operates retail stores under the name “Hustler Hollywood” throughout the United States in over twenty locations. HH was incorporated in Indianapolis in order to open a store that would sell a variety of merchandise, including lingerie, gag gifts, instructional DVDs and literature, marital aids, and sexual devices, such as dildos and vibrators. According to HH, when it seeks to open a new retail store, it studies the city’s municipal ordinance in order to avoid being classified as an “adult” store. HH intended to open a retail establishment in Indianapolis under the name “Hustler Hollywood.” After entering into a ten-year lease, HH applied for sign and building permits. Problematically, HH’s proposed store was located in a zoning district that prohibited “adult entertainment businesses,” as defined under the Indianapolis- Marion County Zoning Ordinance (“the Ordinance”). In 2016, the Consolidated City Of Indianapolis And County Of Marion, Indiana, (City) adopted a revised zoning ordinance that established six commercial zoning districts. The C-3 District is for the development of an extensive range of retail sales and personal, professional and business services required to meet the demands of a fully developed residential neighborhood, regardless of its size.” The Ordinance also regulates “adult entertainment businesses,” which is prohibited from operating in a C-3 district as a right, although they may operate as a right in three of the other six commercial zoning districts. The City determined that HH was an adult entertainment business, a decision, which the Board of Zoning Appeals (BZA) affirmed. HH then filed a lawsuit against the City seeking a declaratory judgment that the Ordinance violated its First and Fourteenth Amendment rights and violated state administrative law, as well as asking for an injunction against the City’s enforcement of the Ordinance. HH challenged the Ordinance under the First Amendment both as applied to it, as well as facially for overbreadth and vagueness. The district court denied HH’s motion for a preliminary injunction, and HH filed this interlocutory appeal challenging that decision only with respect to its as-applied First Amendment claim. Opinion: In order to be entitled to a preliminary injunction HH is required to show it will suffer irreparable harm in the period before the resolution of its claim; that traditional legal remedies are inadequate; and there is some likelihood of success on the merits. If a party makes this showing, the court then balances whether the harm to the moving party against the harm to other parties or the public, is sufficiently weighty to deny the preliminary injunction. HH described its claim as a “content based, prior restraint, and as-applied claim.” Under the framework established by the United States Supreme Court in analyzing regulations involving adult oriented businesses under the First Amendment, regulations that do not prohibit adult businesses altogether, but merely regulate their location are analyzed as time, place, in manner regulations. These regulations must be “content neutral,” meaning that they are not aimed at the content of the adult business, but rather the “harmful and undesirable” secondary effects of such businesses on the surrounding community. If the regulations are not “content–based” they are presumptively invalid and subject to strict scrutiny. However “content–neutral” time, place and manner regulations are subject to intermediate scrutiny, which requires that regulations must be designed to serve a substantial government interest in curbing secondary effects. They must be narrowly tailored toward that interest and they must allow reasonable alternative avenues of communications. Comment Howard: This is a great case. If you have not recently looked at your adult entertainment ordinance in light of recent Supreme Court decisions on free speech this is a good place to start.